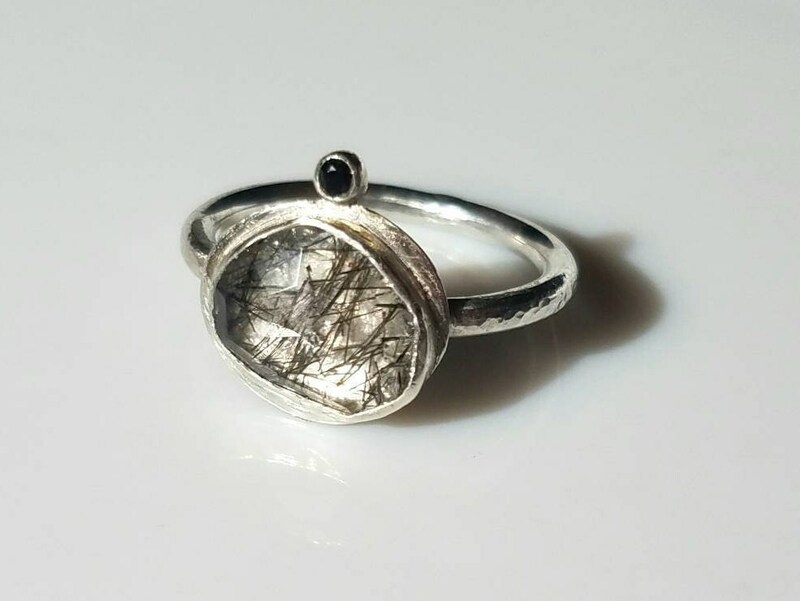 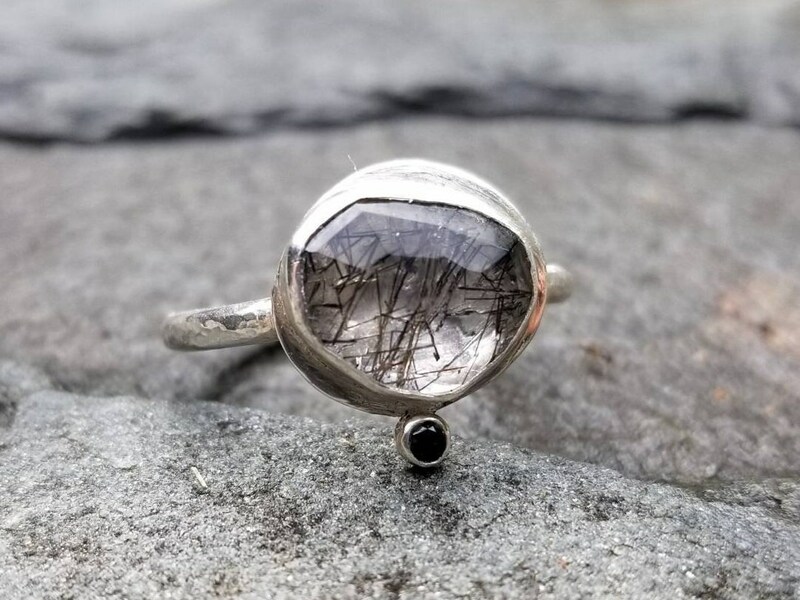 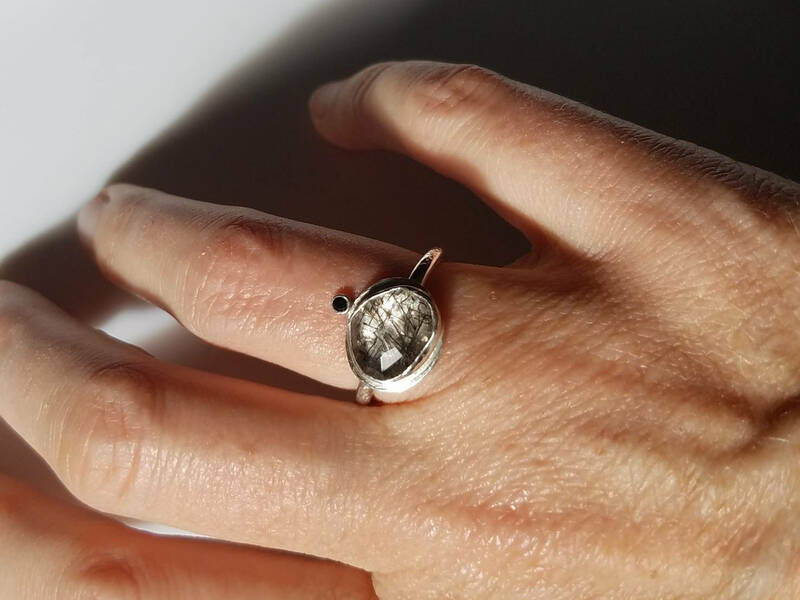 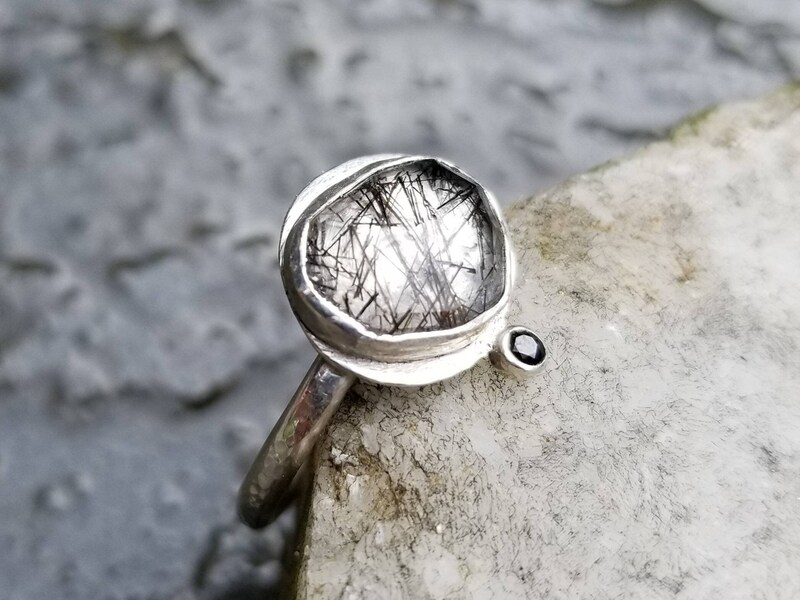 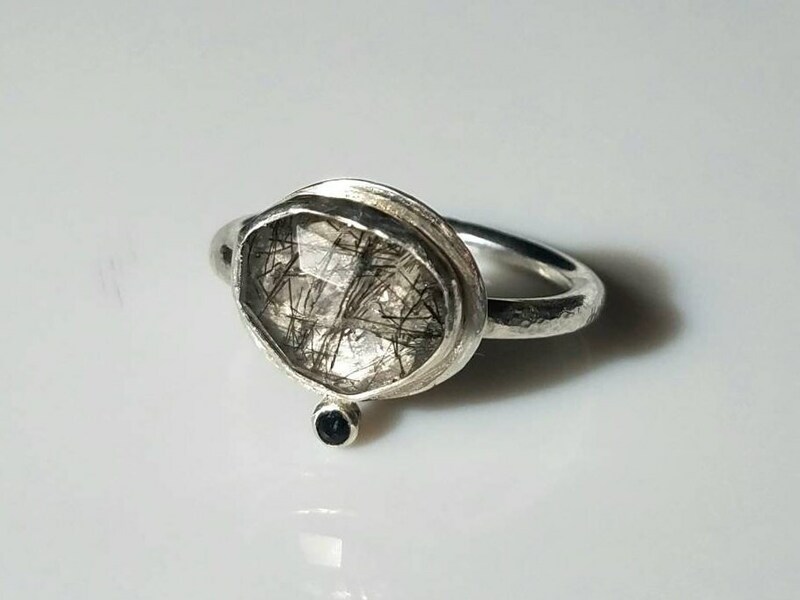 I created this ring around this fantastic, eye-catching black rutilated quartz. 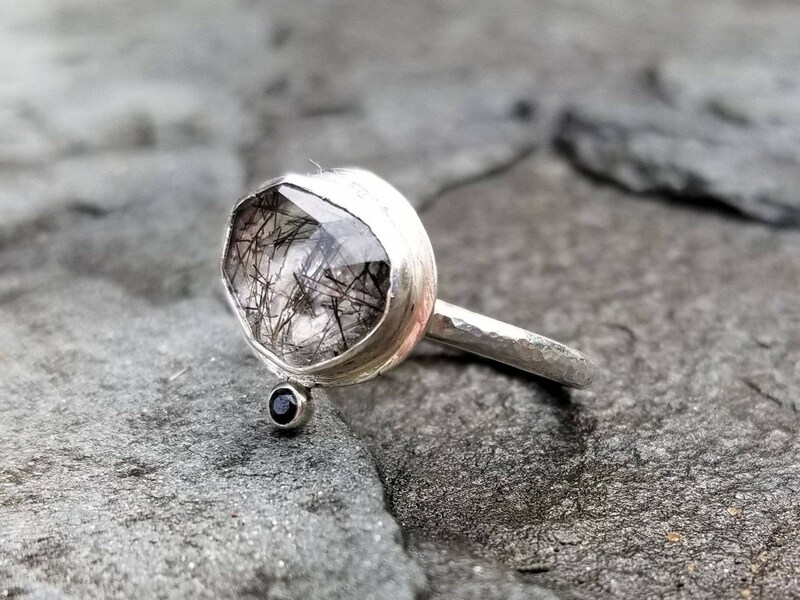 This freeform rose cut clear quartz is included with striking black rutile needles and is one of the few gemstones that is actually prized for its inclusions. 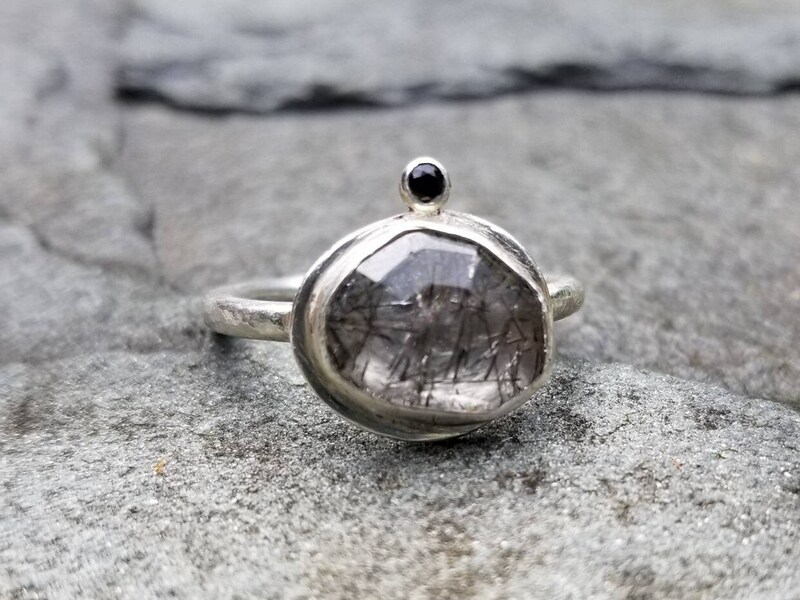 I built the setting for this intriguing stone out of fine and sterling silver and accented it with a 2mm faceted black spinel. 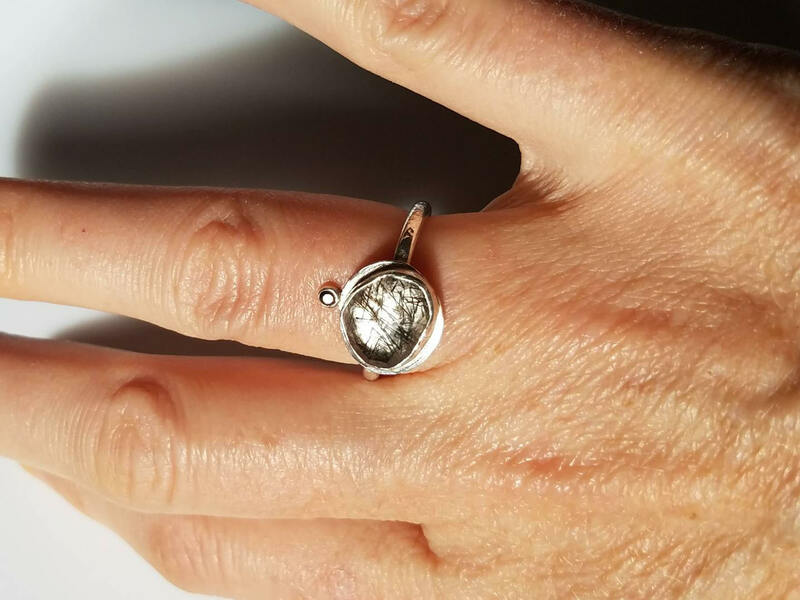 The band has a subtle hammered texture and is a little over 2mm thick. 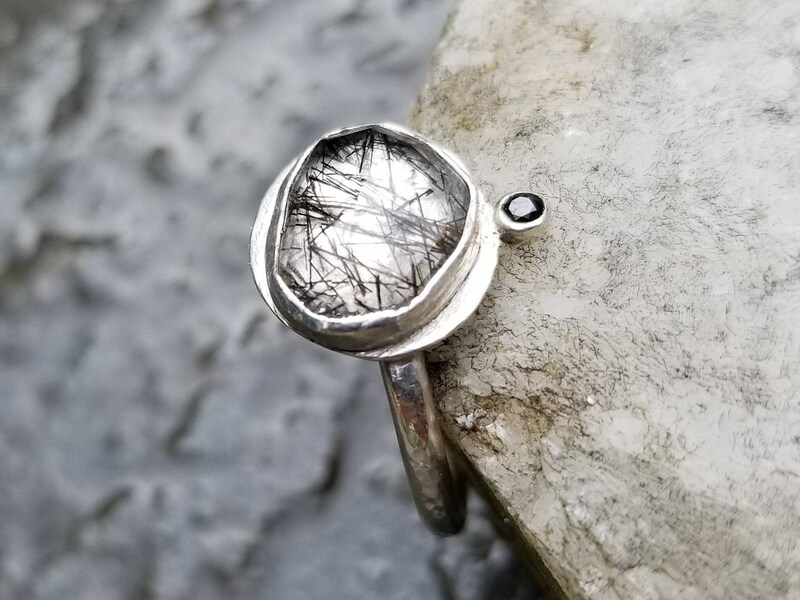 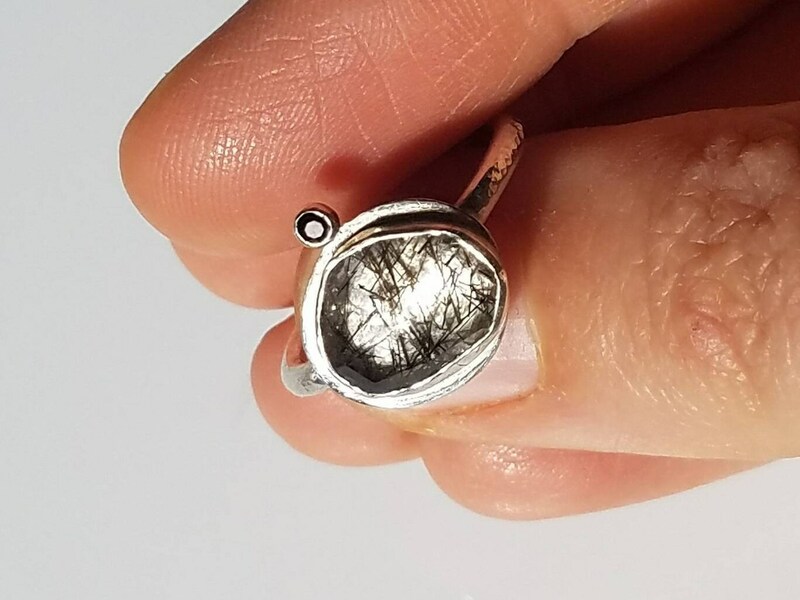 This ring is one of a kind, size 7.5.